In six papers published in Nature, the results of the federally funded effort ENCODE (Encyclopedia of DNA Elements) that extended over 32 labs and involved 440 scientists has revealed ‘junk’ DNA plays a more active, essential role than previously thought. One of the papers established a link between ‘junk’ genes and diseases like lupus and MS through a series of “gene switches.” These functional DNA elements may explain why some get disease and when. 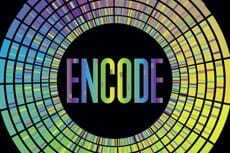 Like the Human Genome Project before it, Encode may lead to significant advances in our understanding of DNA and its role in disease.